Created for smaller municipalities and chambers to help engage local business, attract new investment and drive economic development. Here's how the Assistant helps. 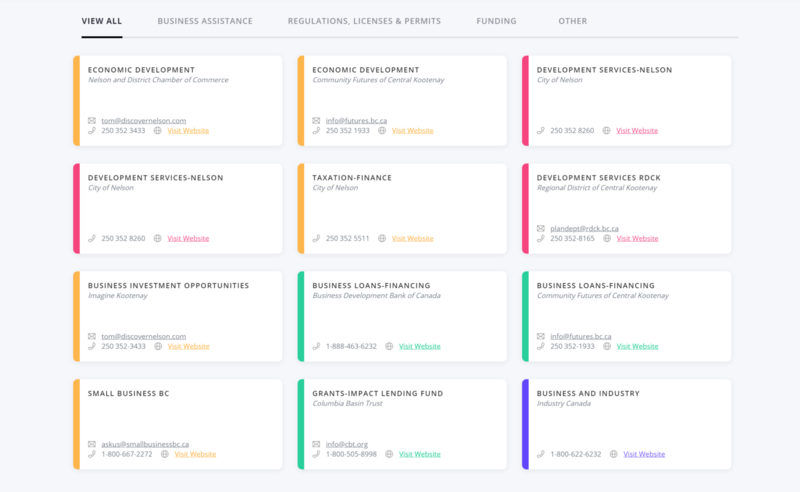 If you're a smaller municipality or chamber, integrating Localintel’s Business & Investment Assistant into your existing website is the easiest, most affordable way to support the local business community. Provides a powerful new online channel to reach out and connect with business and investors. Helps to reduce demands on staff by responding to common business questions online. Businesses can get instant and consistent answers 24 hours a day, 7 days a week. User analytics provides insight into what your business community want to know. Other teams in your organization will benefit from having access to accurate community data. Localintel's Business & Investment Assistant ensures your small community can have world-leading technology to help attract, retain and expand local business. 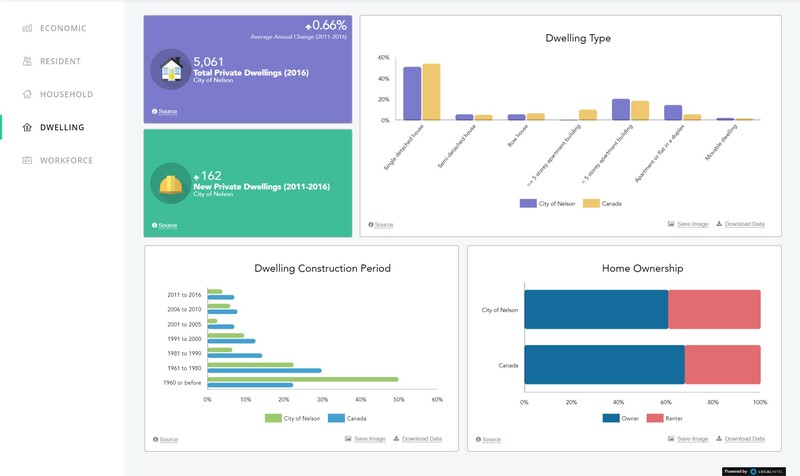 5 interactive dashboards present valuable data about your community's economy, residents, households, dwellings and workforce. All maps tell a story. 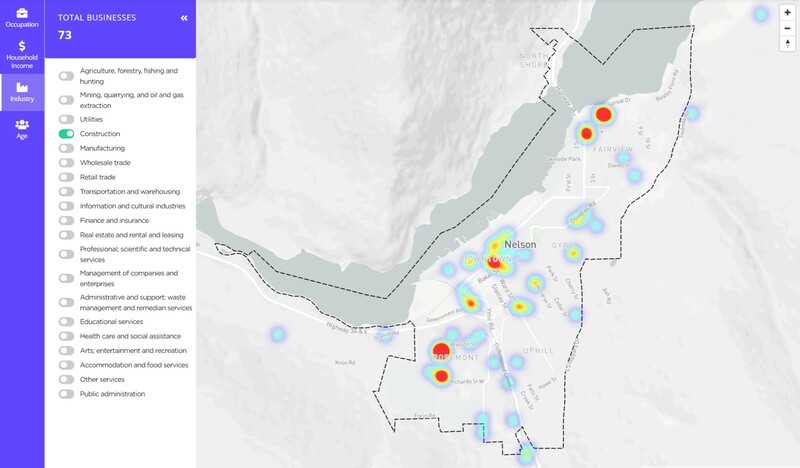 4 dynamic maps provide detailed location intelligence about your community's resident occupations, household incomes, population age and industry densities. The Assistant includes 8 step by step "how to" guides to help business get the fundamentals they need to start, grow and prosper. People still need to talk to people. 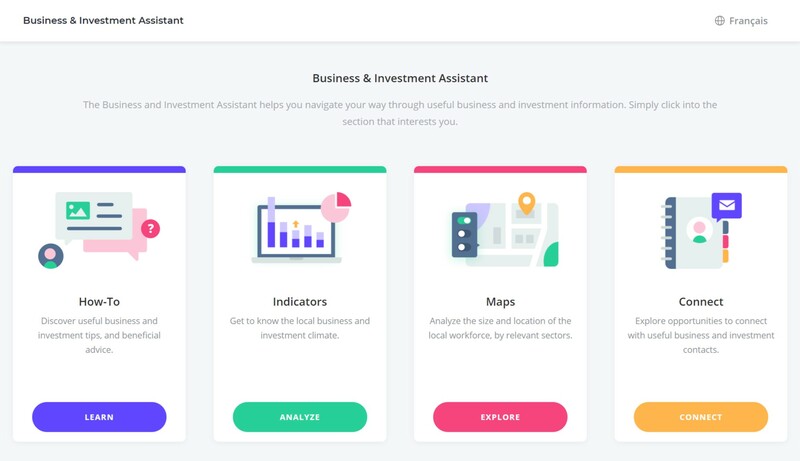 The Assistant connects business, investors and entrepreneurs with other resources and organizations that can help them succeed. We quickly set the Assistant up for you. During the set up we only need 60 minutes of your time. We source the best data to include in the Assistant and we make sure it stays up to date. We measure all user analytics and provide you with access to a regular report to see how the Assistant is being used. All communities receive a marketing package to help promote the Assistant and build awareness amongst the business community. The Assistant was designed with mobile in mind and performs on any screen size. The Assistant includes Spanish translation in the US and French Canadian in Canada. Here are the answers to some of the most common questions we hear from our appreciated customers. How do business and investors benefit from using the Assistant? At the heart of every good business decision lies knowledge. Whether it’s starting a business, expanding a franchise or selecting a manufacturing site, having access to reliable data is crucial to making the right choices. Having step by step guides for common business processes also helps folks who are not experts at using data – after all, data is only useful if you know what to do with it. Localintel’s Business & Investment Assistant offers an easier way for communities to provide this knowledge. 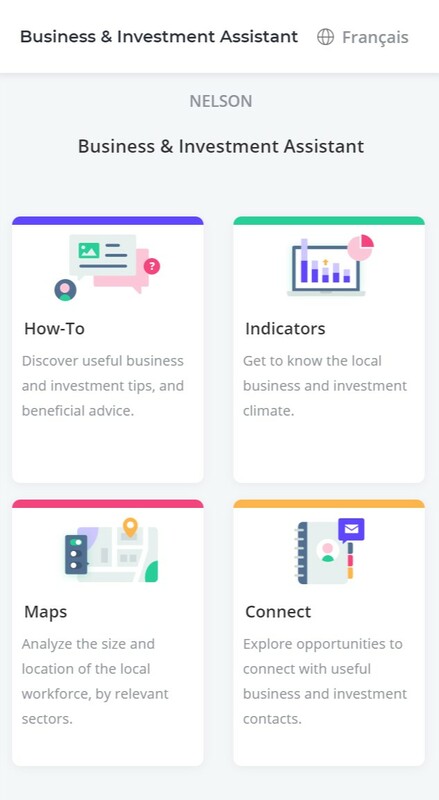 Business can access the INDICATORS section of to get a community profile and then drill into the data by using the MAPS. Non-experts can also get the guidance they need across 8 topics in the HOW TO section. 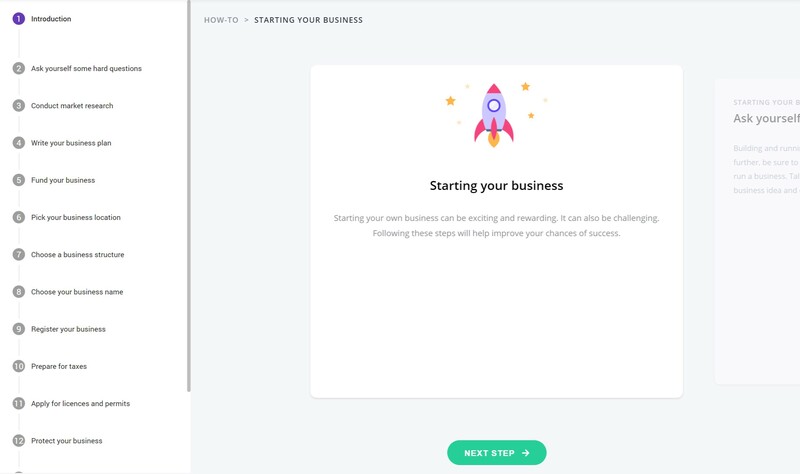 Finally, businesses can find the right people to talk to via the CONNECT section. What inputs do you require from clients? The only inputs we need from our clients to set the Assistant up is the contact details of the people or organizations you wish to include in the CONNECT section. This is done by filling out a simple form and typically takes between 30 and 60 minutes to complete. How long does it take to set up the Assistant? The process for setting up the Assistant is fast and efficient. Once the standard agreement is signed, we have a brief onboarding call to explain who needs to do what (30 minutes). The client then fills out a form identifying the people or organizations to include in the CONNECT section (60 minutes). We then set up your Assistant and send it to you for review and integration into your website (7 days). Where is the data used in the Assistant sourced from? 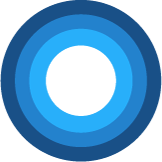 Localintel sources and automatically updates data for the HOW TO, INDICATORS and MAPS section of the Assistant from a range of proprietary and public sources. In the United States, our data sources include Dun & Bradstreet, Neustar, US Census Bureau, Bureau of Labor Statistics, Bureau of Economic Analysis and Internal Revenue Service. In Canada, our data sources include Dun & Bradstreet, Neustar, Statistics Canada, CRA and provincial governments. The content for the CONNECT section is provided by our clients by filling out a simple form. This typically takes between 30 and 60 minutes to complete.